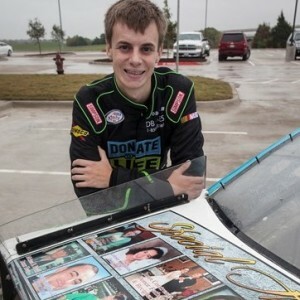 For Donate Life Texas and NASCAR driver Joey Gase, this weekend’s race is about more than a checkered flag and the roar of the crowd. It’s about the people whose lives have been touched by organ, eye and tissue donation. We remember the Donor Heroes who have given the gift of life to others in their passing. We celebrate the transplant recipients who make each day of their second chance count. And, we hope for The Call to come for those still on the transplant waiting list. 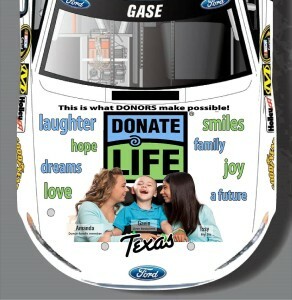 With that in mind, the Donate Life Texas, Joey Gase and ZAK Products are proud to announce the names and faces that will ride the track with Joey during this weekend’s races. 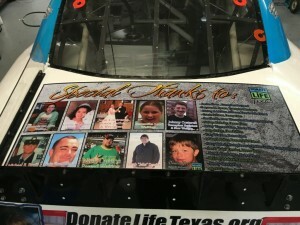 We encourage you to watch Donate Life Texas’ social media throughout the event for photos of the cars, Joey and his team and many of the Donor Families and Honorees. May the stories of these Donate Life Texas Honorees inspire others to learn about the need for transplants and the importance of donor registration. 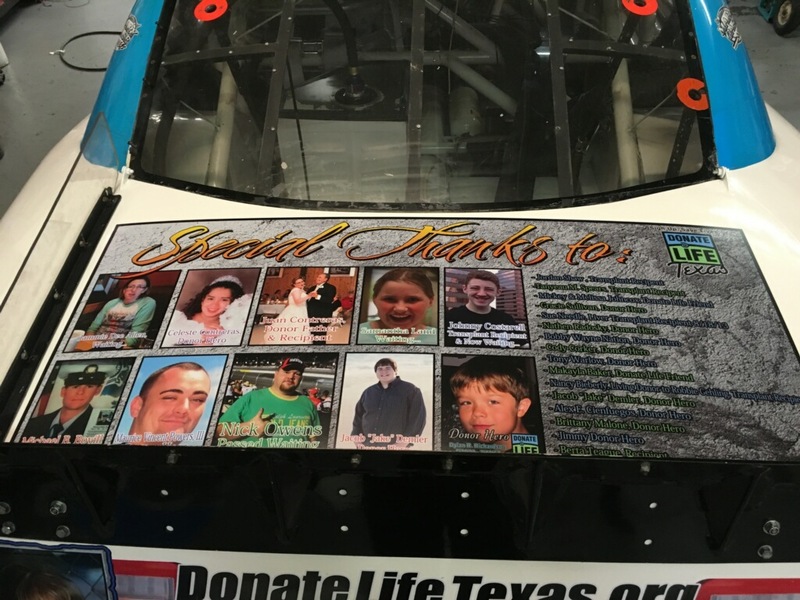 Donate Life Texas will host registration events at Texas Motor Speedway throughout the race weekend and invite you to stop by the Donate Life Texas tent on TMS Midway / Fan Experience Zone near Gate #2. Click here to find out more about Joey’s special appearances.